Get Paid to Ski Abroad! If you love skiing, it can be a compelling idea to follow the snow and ski your way around the world. And what could be better than spending time with people who share the same passion as you, whilst honing your ski skills as the same time? 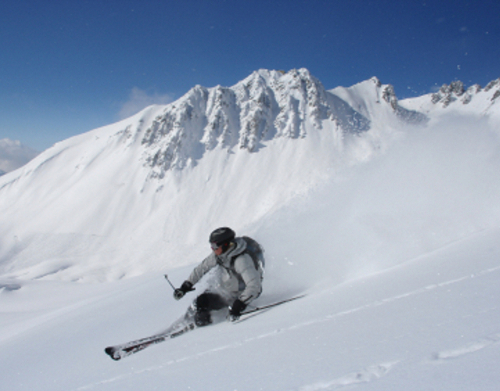 The ski industry is famously gregarious and upbeat, what's more youll be working in breathtaking surroundings. Whats not to like! The most popular resorts such as Meribel, St Anton and Val dIsere are going to be competitive to get into. If it is your first time especially it may be easier to look for somewhere off the beaten track so that youll have an edge next season. And, of course, brushing up on your German, French, Italian or other appropriate language for the region you want will also be useful. "Be aware you will be working whilst others are playing"
As peak season hits every resort will need bar staff, hotel staff, nannies and ski shop staff, and many of these wont demand too much experience, or hopefully rigorous interviewing, although some hospitality experience back home will go a long way to helping you find a job in resort. Be aware though that they also mean that you will be working whilst others are playing - youll be serving drinks at the bar whilst everyone is enjoying their apres ski, looking after someone elses kids whilst they head off to the slopes, or fitting someone for ski boots and watching them walk out the door to hit the slopes as you move onto the next customer. Many of the hospitality jobs can be found on site, but you can also check out ski website forums and sites like Webworks.com has a jobs board that is regularly updated. You can also read Nanny McSnow, one nannys account of getting a job on the slopes. If you dont mind cleaning and cooking, a chalet host could be a good option for you. Youll look after your guests, prepare and serve their food and snacks, as well as clear up afterwards. You may be working with a professional chef, or you may be doing the cooking yourself, depending on the host company and resort. "One of the perks of being a chalet host is that it includes accommodation." One of the perks of being a chalet host is that it includes accommodation. The pay wont be enormous and a ski pass, food and drink etc is not always included so do double check conditions and payment before you accept. As cooking and preparing food is such a large part of the position, having some qualification in food preparation will be an advantage when it comes to applying for a position, and, of course, some knowledge of the language of the host country will also be a big help. Chalet Assistants are more common positions, and these tend to talk on the bulk of the physical work of looking after a chalet including washing up, housework such as changing beds, hoovering etc. You may also be asked to do some babysitting. Websites such as Natives (www.natives.co.uk) have a jobs board listing both chalet host and chalet assistant jobs, as well as many other types of ski resort jobs. It also offers a course in cooking skills, chalet cleaning and customer service that may be worth an investment for those without the relevant experience. "Youll need to look after guests, deal with requests, handle airport transfers and sort out ski equipment hire." 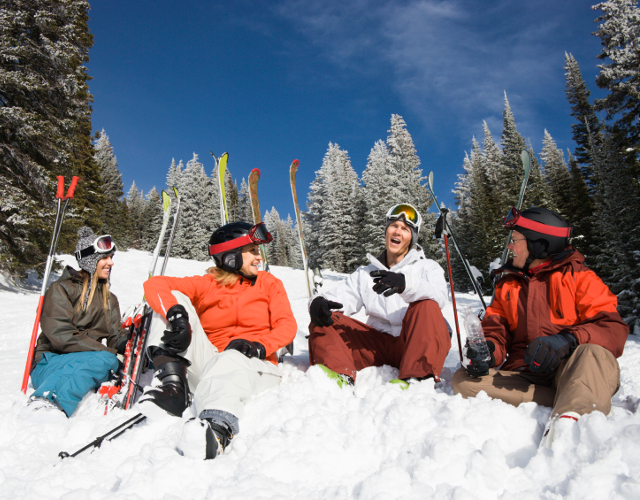 If you have ever been skiing on a package holiday you will have met a ski holiday rep. It can be a fun job, but theres also a lot of responsibility. Youll need to look after guests (and not all are sweetness and light), deal with their requests, sell extras like expeditions or apres ski events, and also organise these. Youll also be handling airport transfers and collecting from airports, ski and equipment hire and keep on top of chalet stuff so that everything runs smoothly. And of course, sorting things out should one of your guests get ill or injured. Whilst personal ski time may be sparse, especially at the height of the season, you may be accompanying guests whilst they ski, and enjoying lunch in mountain top restaurants, so its not all bad! Customer service skills and experience, language skills for the country you will be in, and reasonable skiing ability is necessary for a ski rep. Oh yes, and bags and bags of enthusiasm. If you are more than a reasonable skier you may want to consider a job as a ski or snowboard instructor. Youll need the right qualifications depending on where you want to teach: see Becoming A Ski Instructor but if you want to maximise your time out on the slopes this could be the job for you. Many courses require you to be competent on a red run to qualify for entry, and training isnt cheap, but once you have your qualifications, youll have a skill that you can teach over and over again. As ski jobs go, this is probably one of the best paid, with all the perks of lift passes, ski gear etc, and there are plenty of stories of happy customers leaving big tips, but of course you cant rely on this. You could be employed by a large wintersports holiday company or a resort itself. There are plenty of instructor job boards around, such as Ski Jobs (www.ski-jobs.co.uk). "Any job on the slopes will involve a choice between money and time to go skiing." Any Getting paid to ski or snowboard will likely involve a choice between money and time to spent on the slopes. The ones that pay more money require more work of you and the ones that provide you with lots of free time wont be so lucrative. There is a good infographic at Best Ski Jobs (https://www.bestskijobs.co.uk/articles/jobs-compared.php) which might help you make your mind up when it comes to looking at the sort of work you would like to do. Whilst the whole season may last 3-4 months, the peak season may be much shorter, and some jobs may only be available for that time. Weve mentioned some sites above, but you can also apply direct to big ski operators (just go into any travel agent and ask for a bundle of ski brochures). There are also plenty of ski classified ads sites out there, like Saminfo (www.saminfo.com/marketplace/classifieds), where you can pick up all kinds of information on the different jobs and what they will entail. You will definitely need to be 18, and many companies may even want you to be over 21. If you are a EU citizen, applying to work in the EU this wont be a problem, but if you are going further afield, choosing a company to help get you a placement may have the added bonus of providing assistance in sorting out an overseas working visa (for instance Canada only give out a certain number each year on a first come first served basis). If you dont know what you are doing here, it is easy to get lost. Finally, if you cant make the beginning of the season, or dont land the position you want, some people recommend just heading out to the ski resorts and seeing what you can get on the spot: with the high incidence of injury someone has usually gone home and left a vacant position after a few weeks!